The Pirastro 142100 3/4 Double Bass G String offers a classic sound to the traditional musician. The core is hand manufactured from sheep gut, and produces a warm sound with rich overtones. This model is left unwound for a more open resonance. The naturally low tension is comfortable for picking whilst remaining authentic to traditional music. This G string has a knot tailpiece end and is designed for 3/4 size double basses. 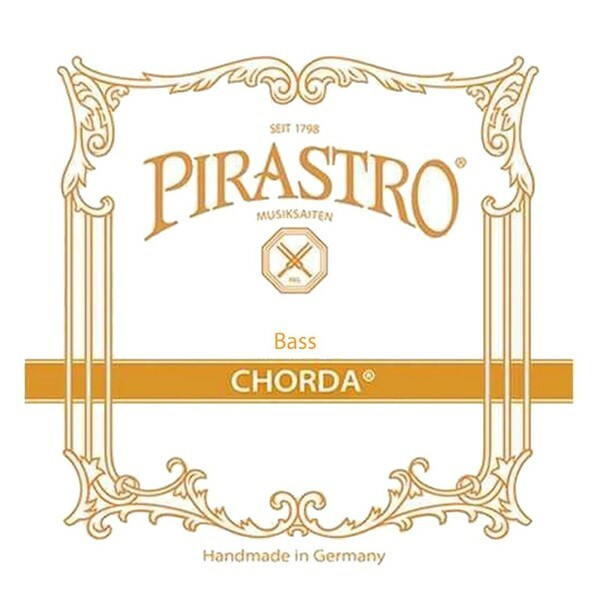 The Chorda series of cello strings offer players a traditional sound. The sheep gut core has a warm, soft tone that is commonly associated with classical pieces. The silver winding on the A and E strings offer more forgiving playability and a slightly brighter edge for a dynamic overall sound. These strings naturally have a slightly lower tension than standard, but they retain consistent playing accuracy and tonal balance. The Chorda series is ideal for bassists wanting a traditional gut sound with comfortable playability.